SLO House Concerts – Located in San Luis Obispo, California, we present established, award-winning, and internationally known musicians with an emphasis on traditional roots music including Celtic, Old-Time/Southern Appalachian, and Cajun. All SLO House Concerts are by invitation and reservation only. Contact us to request an invitation, make a reservation, and/or for more information. Andrew “Finn the fiddler” Magill is a multi-instrumentalist, All-Ireland fiddle finalist, and Ropeadope Recording artist who has watched his career surge ever since the 2016 release of his 2-disc concept album Roots & Branches, which feature John Doyle, Colin Farrell, and Cillian Vallely among others. Magill was raised at The Swannanoa Gathering and has learned and carved out a name for himself in Irish, Old-Time, and Brazilian music and has taught these traditions at various fiddle camps including the Fairbanks Summer Arts Festival, Montana Fiddle Camp, Rocky Mountain Fiddle Camp, The Freight & Salvage’s Fiddlekids, The Acadia Trad School, and Le Séjour du Cléguérec in France. After moving to Rio de Janeiro in 2014, he became an ambassador of Brazilian violin and co-founded the nationally touring Brazilian Strings Trio with violinist Ted Falcon and guitarist Nando Duarte. Based in Asheville since 2016, Magill tours the U.S., France, and Brazil regularly with many acts including Dave Curley, Brazilian Strings Trio, his own Brazilian jazz trio, and solo. Cary Novotny‘s trademark sound has made him one of the most in-demand guitar players in Irish music today. With unerring rhythm, boundless energy, and versatility, he varies from breakneck speed to delicate finger-style in the blink of an eye. He was born in South Dakota and later moved to Bowling Green, Kentucky, where he studied classical guitar and also learned the music of the region. After moving to the Pacific Northwest, he earned a Bachelor of Music degree at the University of Portland and established himself as a professional guitarist, singer, and songwriter in the folk and popular music scenes of Portland and Seattle. In 1995, Novotny cofounded Cul an Ti, which became a household name over the next 20 years in the Northwest with its hundreds of performances of lively traditional Irish tunes and unique blend of Irish and popular songs. Novotny has recorded and performed with many other notable Irish musicians, including Kevin Burke, The Bridies, Johnny Connolly, Winifred Horan, Hanz Araki, Laurence Nugent, and the touring Irish dance show Celtic Legends. This will be Cary’s second SLO House Concert appearance. RICHIE STEARNS and ROSIE NEWTON grew up 150 miles and a few decades apart. While both were raised by professional cellists, Richie started playing banjo at fourteen, and Rosie began classical piano lessons at eight, eventually moving to classical viola as a teen. Both shared incredibly unique, musically-immersed childhoods: Richie’s family founded the iconic GrassRoots Festival of Music & Dance (which he is now President of) and by her junior year of high school, Rosie was playing fiddle and touring with folk rock band The Mammals. During that time, the two were introduced at Saratoga Springs’ Flurry festival — a meeting that would spark a fated friendship and unique musical bond. “He left an impression on me because he was wearing Converse. I had never seen an adult wear Converse before,” said Rosie, reflecting back on the first time she shared the stage with Richie. As a Woodstock native, she graduated high school and decided to move to Ithaca after being drawn to the thriving old-time scene — which happened to also be Richie’s stomping grounds. While studying viola at Ithaca College and playing fiddle on the side, Rosie started incorporating folk with her traditional Celtic and classical upbringing. Meanwhile, Richie was a well-established singer and banjo player in the community, having performed around the world with bands like Bela Fleck, Pete Seeger, David Byrne, Billy Bragg & Wilco, Old Crow Medicine Show, and Joan Baez. In addition to releasing two solo albums, Richie was adding to his endless discography, which includes three Natalie Merchant records, multiple collaborations with Jim Lauderdale and Donna The Buffalo, and Carrie Rodriguez. A founding member of the neo traditional alternative rock band The Horse Flies, Richie Stearns has toured extensively over the last three decades, recording eight albums with The Horse Flies, including releases on MCA and Rounder Records. The Horse Flies have been featured on MTV, Prairie Home Companion, All Things Considered, World Café and Mountain Stage, and have been written about in Rolling Stone, the New York Times, Los Angeles Times, Boston Globe, and other major publications. During Rosie’s freshman year, they began touring together regionally as members of the Evil City String Band and eventually decided to pursue a more intimate project as a duo. In 2013, the duo released their first album, Tractor Beam, a mix of originals and classics, designed to mirror the experience of a live performance. Rosie Newton joined the folk fusion band, The Duhks, in 2014, and her fiddling can be found on the Duhks record, Beyond the Blue. Rosie has taught fiddle at Sunshine Coast School of Celtic Music, the Taylor Music Festival, and the Black Pot Camp. She has appeared at major US music festivals (Rhythm & Roots, Newport Folk Festival, Philadelphia Folk Festival, MerleFest, DelFest) and has performed with Natalie Merchant, Chris Eldridge (Punch Brothers), and Jefferson Hamer (Anaïs Mitchell/Child Ballads). In 2017, Richie and Rosie released their second full-length album, Nowhere in Time. With the fated combination of Richie and Rosie’s unique skill, varied musical influence, and honest storytelling, Nowhere in Time defines exactly what the duo hopes to achieve — music that people can connect with. As two musicians in two very different parts of life, Richie and Rosie are proof of two things: the power and magic of two people making music, and that the universal messages that lie within their songs remain timeless. This will be Cillian and Kevin’s second appearance at SLO House Concerts and we are looking forward to welcoming them back! In addition to their stellar musicianship, the two have developed a friendship through the years that shows in and through their performance and entertaining stage presence. Ring in the New Year right with this house concert! Joining Irish super group Lúnasa in 1997 and 1999 respectively, Kevin Crawford and Cillian Vallely have become key components of a group which has become one of the most acclaimed and influential bands in the recent history of Irish music. Having released seven band albums and worked on numerous solo projects though, the duo decided to combine their individual talents and create something different. The result was the critically acclaimed album, “On Common Ground”, which was awarded The Irish American News album of the year in 2010. Cillian Vallely is an uilleann pipes and low whistle player from Armagh in the north of Ireland. In recent years, he has played and recorded with Bruce Springsteen, Natalie Merchant, Mary Chapin-Carpenter, Tim O’Brien, and Riverdance in addition to recording as a guest on over 60 albums. 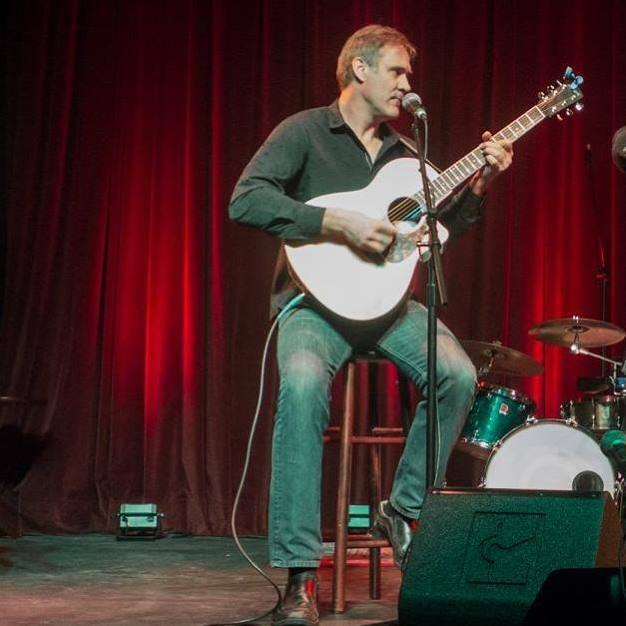 With Lúnasa, he has played at The Hollywood Bowl, Glastonbury Festival, Womad Aledaide, Edmonton Folk Festival in addition to multiple tours of Asia, Australia, US and Europe. Born in Birmingham and living in County Clare, Kevin Crawford is an exceptional flute, whistle, and bodhran player and was awarded the title of Irish Echo Musician of the Year in 2000 following the release of his 2 successful solo albums, “In Good Company” and “D Flute.” Before joining Lúnasa, Kevin made two albums with the acclaimed instrumental band, Moving Cloud, 1995’s self- titled album followed by “Foxglove” in 1998. Other notable album credits from this period included Grianan, Raise the Rafters, Joe Derrane, Sean Tyrrell and The Sanctuary Sessions. One of Kevin’s latest side-projects is the formation of a new super-trio, The Teetotallers alongside John Doyle and fiddler Martin Hayes. Laurie Lewis & the Right Hands ~ November 18 ~ SOLD OUT! Grammy Award-winning musician Laurie Lewis is internationally renowned as a singer, songwriter, fiddler, bandleader, producer, and educator. She was a founding member of the Good Ol’ Persons and the Grant Street String Band and has performed and recorded since 1986 with her musical partner, mandolinist Tom Rozum. Laurie has won the International Bluegrass Music Association award for Female Vocalist of the Year twice. Laurie’s band, the Right Hands, are all mega-talented musicians. Laurie sings and plays guitar and fiddle; Tom Rozum sings, swaps jokes, and plays mandolin, mandola, and guitar; Patrick Sauber plays banjo; Brandon Godman plays fiddle; and Haselden Ciacco plays bass. SLO House Concerts are by invitation and reservation only. This house concert is now Sold Out. If you would like to be added to the waiting list, click here and let us know how many seats you would like. We will notify you if seats open up. Author Roz PhillipsPosted on October 19, 2018 November 20, 2018 Leave a comment on Laurie Lewis & the Right Hands ~ November 18 ~ SOLD OUT! Joe Newberry & April Verch ~ October 30 ~ SOLD OUT! Banjo. Guitar. Fiddle. Feet. Song. Tradition. Joe Newberry and April Verch are masters of their traditions. Tunes, ballads, step dancing, and original songs by way of the Ottawa Valley in Canada and the Ozarks in Missouri ring like silver and shine like gold. With beautiful harmony singing, breathtaking instrumentals, and exquisite dancing, these two hit the stage in perfect rhythm, making audiences remember why this music existed in the first place. We are excited to welcome Joe back and to meet April! Don’t miss this one!! Joe Newberry is a Missouri native and North Carolina transplant who has played music most of his life. A frequent guest on Garrison Keillor’s A Prairie Home Companion, Joe performs in a duo with Mike Compton, and also performs with guitarist Jon Shain. Another special side project pairs Joe with old-time music legends Bill Hicks, Mike Craver, and Jim Watson. He was recently a featured singer on the Transatlantic Sessions tour of the United Kingdom with fiddler Aly Bain and Dobro master Jerry Douglas, along with an all-star band and fellow singers Rhiannon Giddens, the Milk Carton Kids, Carla Dillon, and Karen Matheson. He won a songwriting prize at the 2012 IBMA Awards for his song Singing As We Rise, and was co-writer, with Eric Gibson, of the 2013 IBMA Song of the Year for They Called It Music. Author Roz PhillipsPosted on October 9, 2018 October 28, 2018 Leave a comment on Joe Newberry & April Verch ~ October 30 ~ SOLD OUT!